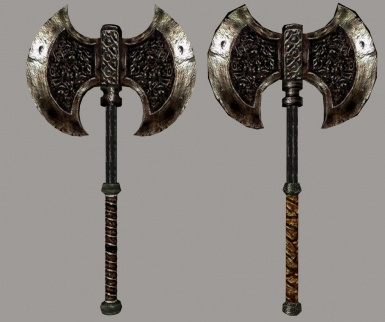 New and more detailed meshes for all steel weapons. Small update to fix glitch that would cause the reflection to disappear on some meshes when they were dropped. 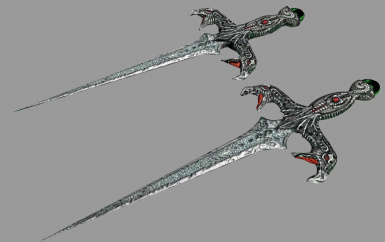 After I finished my texture Mod "Real Reflective Weapons - Iron" using Psymoniser's Improved Iron Meshes for the iron weapons as a basis, I realized that if I wanted to continue with retexturing other weapon styles I would need to make new meshes for them myself, since the original meshes are mostly quite crude and have a bad texture mapping, so that even the best textures would only be so much of an improvement. So I decided that I would first create new meshes which would still use the original textures, before I would go on to create new textures for them. I wanted to stay as close to the original design as possible with them, while improving upon the vanilla versions with additional details and better texture mapping, with the ultimate goal of creating a replacer which would fit equally well into a highly modded game as well as one which is meant to stay as close to vanilla as possible. There is no new mesh for the steel crossbow since WH-Reaper's Crossbows mod already contains a very good mesh, even though it is quite different from the original design. Maybe I will provide a new crossbow mesh in the future, which is closer to the original, but until then I recommend using the one from the Crossbows mod, it goes very well with this mod's meshes in my opinion and can be used as a replacer without the plugin file. 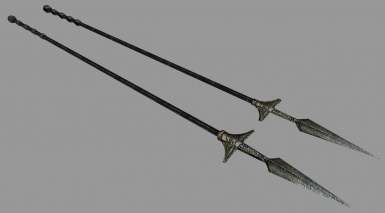 The oriental weapons are not included as these are already covered by Psymoniser's Oriental Mesh Improvements Mod, which I recommend to use together with this mod. There are no textures included in the main part of this mod since all meshes use the texture paths of the vanilla meshes, which means they are replacer-friendly. To get the best look, as seen in the screenshots, I recommend using Darknut's Little Weapons Mod together with these new meshes. Darknut's Mod needs to be installed before this one, since it also contains some meshes which need to be overwritten by those from this mod! 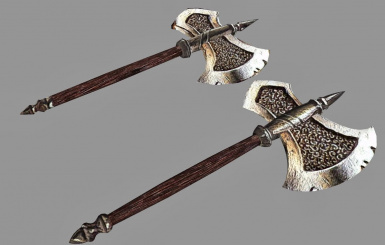 Also, as Darknut's mod does not cover this texture, I have included an optional improved texture for the steel arrow which I tried to get similar in style to the Darknut's textures. I recommend using it together with Darknut's textures. 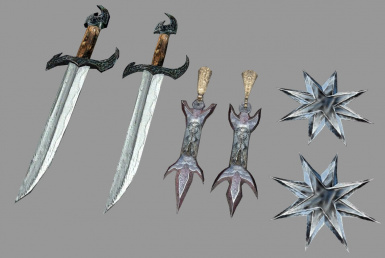 Because of a bug in the original master file, Morrowind does not use the correct mesh and icon for the steel throwing knife, but instead those from the steel dagger. Therefore I have included a plugin file which corrects this by assigning the correct mesh and icon to the steel throwing knife. 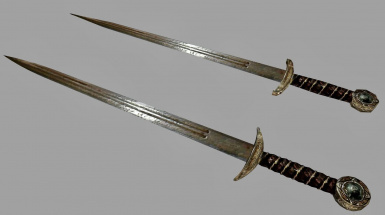 It is not required for the rest of the meshes to work, but without it you won't see the knew mesh for the throwing knife ingame, so I recommend using it. If you use the Morrowind Patch Project you don't need the plugin, since this is already corrected in the MPP. 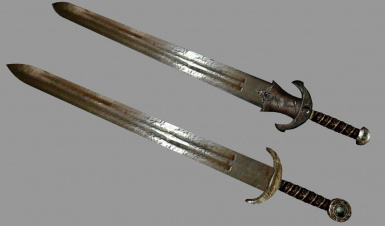 In the "alternative" folder there are additional alternative meshes and icons for the steel longsword and the steel dagger which are similar in style to the steel shortsword. 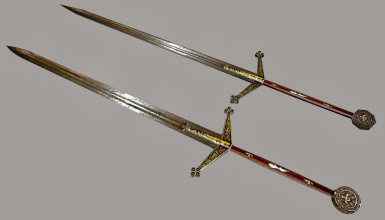 These are for those people who want a little more consistence in style within the steel category or who find the original dagger design to be to extravagant for such a common weapon. Apart from the mesh of the steel throwing star, which is a slightly modified version of the original mesh these are all created from scratch. I tried to achieve the best look possible while still preserving a rather low polycount. 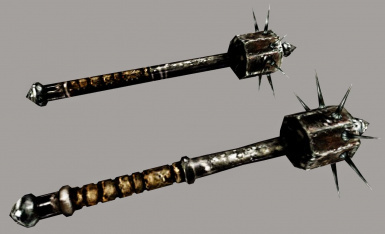 This mod is incompatible with all mods that change the meshes of the steel weapons! Texture replacers work with these new meshes as long as they have the same layout as the original textures, as these meshes use the original texture paths. They are compatible with Darknut's Little Weapons mod, and I highly recommend using them together. Remember to install Darknut's Mods first! The "Steel Throwing Knife_fix.esp" is incompatible with all plugins that change the Steel Throwing knife in any way. I recommend putting it as low as possible in your loading list and creating a Merged-objects.esp with TESTool, if necessary. 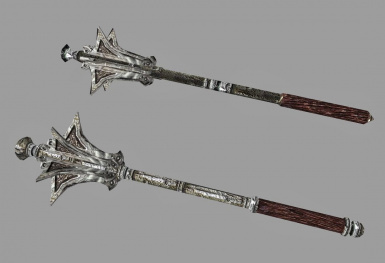 Caution if you are using my "Real Reflective Weapons - Iron" mod: If you are using the steel mace mesh from the bonus folder of the RRW mod, it will be overwritten by the one from this mod, which uses the original textures again! To prevent this, either do not install the w_mace.nif from this mod or re-extract the w_mace.nif from the RRW-Iron mod to .../Data Files/meshes/w. v1.2: Small update to fix glitch that would cause the reflection to disappear on some meshes when they were dropped.